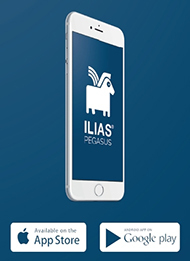 The ILIAS Pegasus App was financed by the Student Council of the University of Freiburg with funds from the Studierenden-Vorschlags-Budget (SVB). ILIAS is brought to you by the E-Learning Service Center of the University IT-Services of the University of Freiburg. This Login Box is for Administrators and temporary Accounts only. All Uni-Accounts please use the Button "Anmelden/Login" above.